Through 100 years of history, the University of Seoul (UOS) has befriended with many other universities worldwide. Some of them are older than UOS and some are even known as the most historic universities in the world. UOS has grown a lot since its beginning, yet still, it can learn something from its older friends and even develop part of its future path from them. 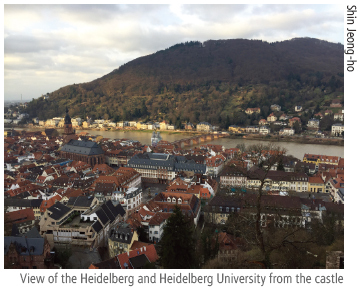 In order to do that, during the winter of 2017, the reporters of The UOS Times visited the Heidelberg University and the city of Heidelberg. We interviewed four members of its community; three students and a local resident. Although our view and reports are just two pages long, we hope our study and this report can guide some roads of the UOS’s future. Before we begin our reports to look inside of the Heidelberg University, there is something that readers should know. As reporters noticed in the middle of the interview, each university’s policies and academic structures are directly related to countries’ where they reside. So, The UOS Times would like to inform that readers should keep that in mind when they see the differences between the UOS and Heidelberg University. Heidelberg University was founded in 1386 on the instruction of Pope Urban VI and consisted of four faculties: philosophy, theology, jurisprudence, and medicine. Today, it is the oldest university in the Federal Republic of Germany and one of the famous universities of Europe. Many prominent faculties lectured in this university and they grew more alumni in the field of academia and to the society. Once, philosopher Georg Wilhelm Friedrich Hegel and social scientist Max Weber stood at the podium at the Heidelberg University. We were also able to find Helmut Kohl, the “Chancellor of the Reunification” on the list of alumni, along with 55 Nobel Prize winners. The university grew through its long history, and currently, according to its official website, about 30,000 students are enrolled in the university, studying in 12 faculties. Our interviewees, Tobias Krauss who majors in politics and comparative German studies, and Denis Orechov who majors in computational linguistics said that they felt such history when they used old buildings at the campus or when they saw the Latin seal on the official paper of the university. Especially, when they went abroad to study at the other countries, they felt proud of their university’s history because it is well known. Heidelberg University offers many opportunities to study in global contexts to students in and out of the university through exchange programs, such as the ERASMUS arrangement, the European Union student exchange program. The university connects with 629 European universities and around 180 universities in non-EU regions. 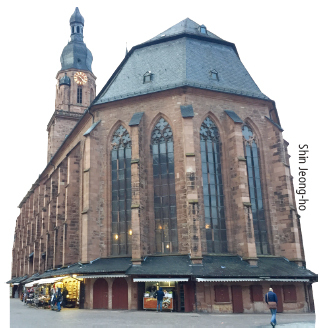 During the winter semester of 2016 to 2017, 5,793 international students studied at Heidelberg, which was about 18.8 percent of the total enrolled students. “For promoting interchange, the university even has local offices worldwide, such as New York City, Santiago (Chile), Kyoto (Japan). And each department gives their own exchange programs, in addition,” said Tobias. According to the interviewees, the university students are tolerant to other foreigners and some form student groups to help foreign students adapt. Also, the university is eager to attract foreign students and offers some foretaste program where students can learn German language and culture. For example, there is the International Summer School (ISS) for some 500 foreign students or language courses. All interviewed students agreed that the capacity of the dormitory is not satisfactory; around 10 percent. 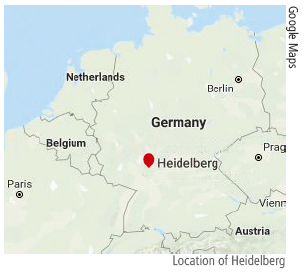 Heidelberg University seems to suffer the same problem with UOS, high demand and low capacity. However, Tobias and Denis told us an interesting approach the university and city had made. “When the city gains ownership of unused houses, the local government gives the right of using such housing areas to the university. Then, the university rents out the houses to students at a cheaper price than private-owned houses,” they said. So, by the effort of the city-university cooperation, Heidelberg University tries to ease the difficulties of the students’ housing. For the facilities of the campus, all the students we talked with proudly praised their university’s cafeteria, mensa. At lunchtime, the reporters tried to have a small lunch at this famous restaurant, but we failed to do so because of its popularity. In brief view, it served a variety of fresh food. Also, the restaurant is always very crowded, even if it is the very next day after the winter break. According to the interview, it was ranked as the best cafeteria among German universities. As written above, there are many positive points from Heidelberg University that UOS can refer to. The connection between the local community and university is quite unique. And students can easily study in a more global environment. It might be inappropriate or impossible to adopt all these good traits at once, but UOS might take a step to its own future path by learning some lessons from its friends like the 300-year old Heidelberg University.